Restricted or changing flow parameters can present integrity concerns for operators. With Flexlife, you can rest assured that our experts are skilled in changing operational parameters caused by wax or sand deposition. We can also assist when reservoir characteristics change, particularly in the case of souring service within sweet service pipelines. 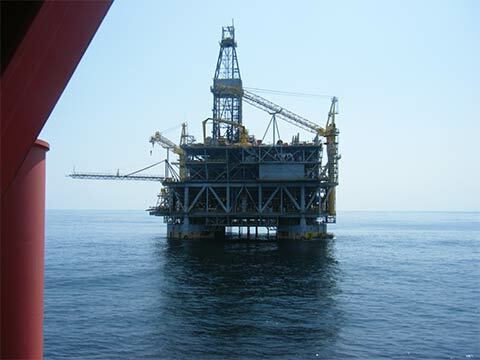 The flexible riser and flowline on a SPAR, located in the Gulf of Mexico, had become blocked by a combination of asphaltene, paraffin, low dose hydrate inhibitors and low flowing temperatures. Located in a water depth of approximately 2,300 feet, the four-inch (internal diameter) riser and flowline are comprised of three sections (one riser and two flowline sections) joined together in a free hanging catenary configuration with a total length of approximately 18,000 feet. Attempts at clearing the blockage with various chemical interventions failed. Mechanical methods for clearing the blockage were then evaluated. A suitability assessment of intervention methods found that a hydraulic work over snubbing unit, in combination with heated diesel injection, could clear the blockage most efficiently. The study highlighted the challenges of using this type of tooling with a flexible riser/flowline and offered suggestions to mitigate the risk of damage occurring. Thermal and mechanical analysis was conducted to confirm that the heated diesel injection would not compromise the polymer barrier and snubbing forces would not damage the riser/flowline and reach the blockage in order to clear it. Chemical compatibility studies were undertaken to ensure that the riser/flowline polymer layer integrity would not be compromised by the injected diesel. The blockage was successfully cleared by the snubbing operation and the well is now flowing at near early production volumes. A total length of 8681 feet of 2 3/8” drill string including the snubbing tool was used in the operation. A snubbing operation to clear a wax blockage in a flexible riser of a small inner diameter had not been previously attempted at this water depth. Flexlife provided the suitability assessment, tool selection, methodology, analyses undertaken and oversight the successful snubbing operation offshore.